New America is proud to partner with the Center on Enhancing Early Learning Outcomes (CEELO) on this blog series highlighting early learning opportunities and challenges under the Every Student Succeeds Act (ESSA). In this week's post, Chad Aldeman helps states think through ways to embed early learning in their ESSA state plans. State education agencies looking to improve long-term student outcomes, accelerate educational progress, and close achievement gaps cannot afford to start their efforts at third grade, when most state tests begin. 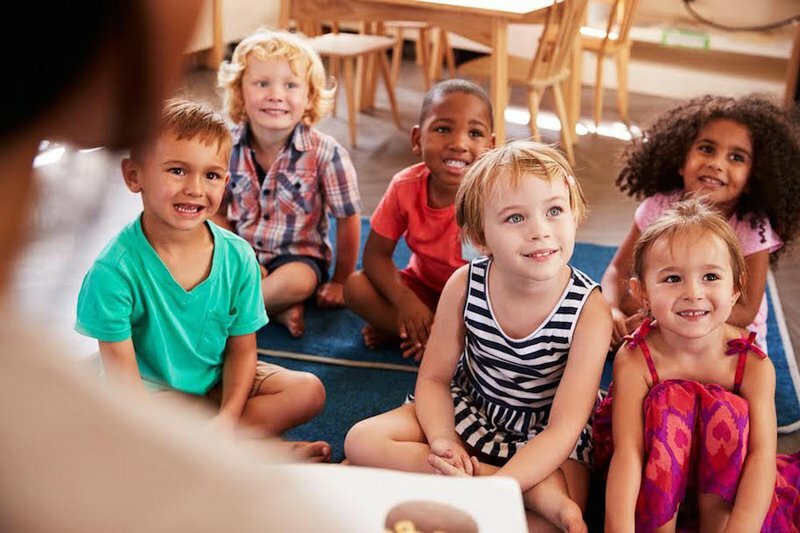 Without consideration of the developmentally critical early years, a school accountability system reflects a limited view of educational quality. In addition, early skills are predictive of later outcomes, but too often early opportunity gaps are allowed to grow unaddressed into more persistent achievement gaps in later years. The federal Every Student Succeeds Act (ESSA) presents an opportunity for states to integrate early childhood into school improvement plans. My colleague Bonnie O’Keefe and I recently had the opportunity to work with the Council of Chief State School Officers (CCSSO) and CEELO on a “toolkit” to help states think through embedding early learning in their ESSA state plans. We wanted to help states bridge the gap between efforts to improve early childhood education and to update formal state accountability systems aimed primarily at K-12 schools. While ESSA doesn’t require an emphasis on early childhood, there are a number of concrete steps states can take in both the short- and the long-term to embed early childhood in their ESSA plans. 1. Include K-2 students where it makes sense. There are a number of measures states are already planning to include in their accountability systems—such as chronic absenteeism, English language proficiency, teacher absenteeism, student discipline, school climate, etc.—that could easily include students in kindergarten through second grade. Including K-2 would expand sample sizes and encourage schools to look at educational quality and equity in all grades. 2. Incorporate early childhood instructional indicators in accountability systems. My colleague Bonnie lays out the idea of considering teacher-child interactions in a recent blog, and the Ounce of Prevention’s Elliot Regenstein, Maia Connors, and Rio Romero-Jurado went in-depth on why state accountability systems should focus on the quality of instruction in the early years. Although still nascent in some cases, early childhood instructional measures can provide states ways to measure results in the classroom beyond test scores. 3. Build early childhood indicators into the needs assessment framework for elementary schools. ESSA requires schools identified for improvement to create comprehensive needs assessments, but states could take it one step further and require elementary schools to look at their feeder patterns from early childhood programs, form partnerships with those providers, and analyze the needs of their incoming students to address problems or gaps before they have a chance to grow. 4. Identify special categories of targeted support schools based on early learning indicators. States have wide discretion in how they identify schools for improvement, and they should use that discretion to push their state priorities. For example, if a state has a third grade reading law that places high stakes on students, it should also identify schools where large proportions of students are not meeting those standards, and target supports toward those schools. 5. Embed the state’s priorities into the 7 percent set-aside for school improvement activities and the 3 percent set-aside for Direct Student Services. States are required to set aside 7 percent of their Title I funding for school improvement activities, and they have wide discretion over how they spend it. States should be maximizing these funds by embedding their policy priorities into school and district applications, as least as an explicitly allowable use. For example, New Mexico is planning to use some of its 3 percent set-aside for Direct Student Services to support pre-K expansion. 6. Use school district accountability systems as another way to embed early childhood. Although not required by ESSA, which focuses on individual schools, states may want to look toward district accountability systems if they want to drive change in early childhood offerings or partnerships. Districts have more power than any individual school in terms of collaborative efforts with other early childhood providers, Head Start, and budgetary allocations. 7. Incorporate early childhood indicators into school report cards. Parents want to know what services schools offer, including pre-K and kindergarten, not to mention other information such as kindergarten readiness measures. This would be a low-stakes way for a state to inform parents and communities about early childhood efforts, and acknowledge the full suite of services schools and districts offer. ESSA presents many opportunities and few barriers for states, and they should use this federal legislation to advance their own priorities--including early childhood education. No matter where states start as they embark on this work, ESSA allows them to take a number of creative steps toward more ambitious, fully aligned birth to grade 12 systems of support and improvement that put students first.